Lets hear from Joanna Plumb at Edible Ornamentals who hosted our wonderful 3rd birthday bash. 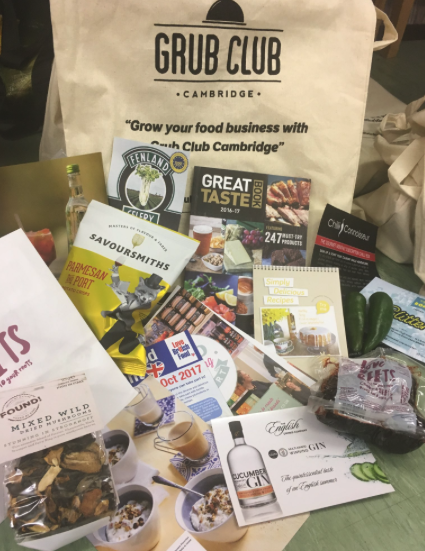 Thursday evening was fast approaching and thoughts lead as to whether the Grub Club Cambridge guests would enjoy their evening at Edible Ornamentals. What food delights would these shrewd business people be expecting? A La Carte, buffet style, modern British, gourmet? So we opted for what we knew best, jalapenos poppers and spicy Inferno wings from our café menu along with shredded duck in plum sauce from our cookery classes to one of my favourites, roasted Anaheim salad with balsamic vinegar and oregano. The guests devoured the food. Next, thoughts passed to how we could best entertain the guests to give them a memorable and up beat evening. We started with a talk on the unconventional beginning to our chilli business. This was met with a round of applause. 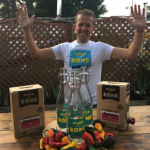 The guests were next invited into our chilli greenhouse and the difference between mild, medium, hot and ferocious chillies was explained to them by the enthusiastic Shawn. 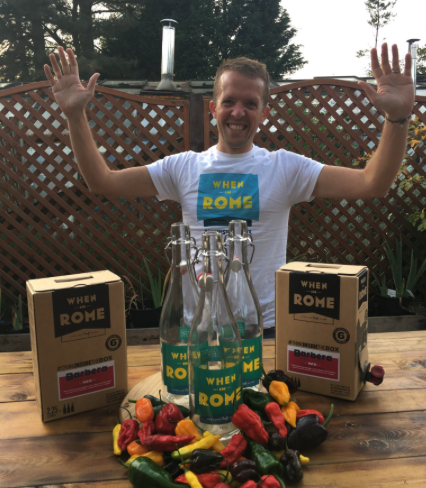 After the success of the meal, Olly gave a guided gourmet tasting session of our award winning sauces and freshly picked chillies. We were impressed by how many of the guests actually tried the world’s hottest chillies. They were definitely troopers. The networking part of the evening was amazing with everyone chatting and swapping contact details. We’ve already had several meetings with the some of the attendees and it’s only been a week since the meal. All in all, the event was a huge success with meeting new people and creating working relationship with several of the people in the room. I highly recommend hosting or attending Grub Club Cambridge meetings. You won’t regret it and you will profit from going. The event was a huge success and the hospitality shown by Joanna, Shawn and Ollie was second-to-none. Sponsoring an event is a great promotional platform for your business. 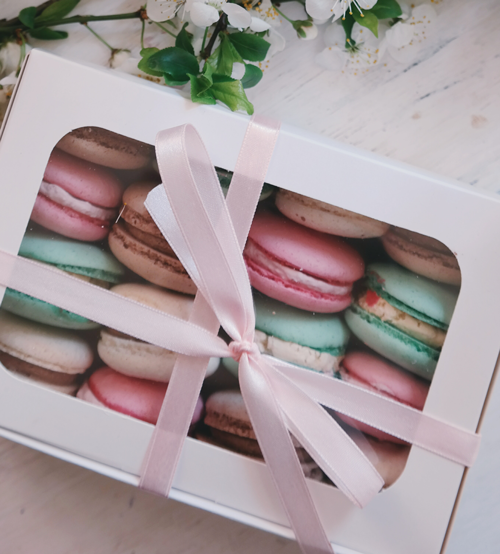 You will be given the opportunity to address the room and discuss what your business as to offer the food and drink industry, you could talk about a burning industry topic, or simply promote an offer which could benefit the attendees. 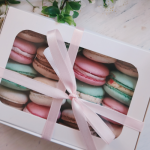 It’s always great to see Tracy at our events, she is a great supporter of the food and drink industry and fabulous at getting the most from networking opportunities. Being a welcome drink sponsor at one of the events. Each attendee will get a glass of your product as they arrive and you are free to say a few words about your product. 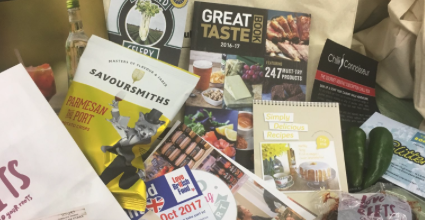 Providing some of your incredible food in the Goodie Bags which are given away at the end of each event. 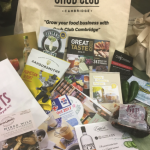 Every guest who attends Grub Club gets a free Goodie bag which is packed with products, leaflet, magazines and information, these tote bags are a huge success.